A-wave downs are 5 waves when zoomed out. If you look at the right part of this chart, you will see 5-waves down from 2070 to 1992 with wave 4 — hitting the 2030 twice — each time turning back down. 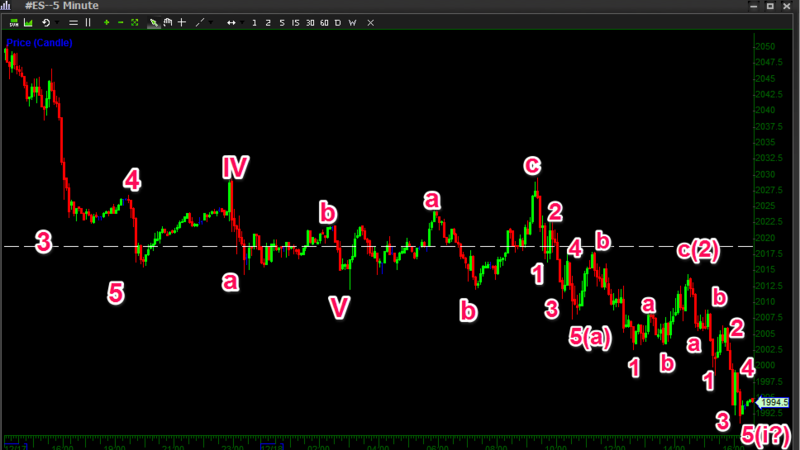 This is the wave 4 resistance area and is generally a good area to short. 12-3-4-5 to finish the larger C at 1992. For more details, reference the microcount on this blog post in what turns out to be an A-wave down (because it was later followed by a big b-wave up). The microcount is reposted here –but note the labeling turns out to be off. Instead of a-b-1-2-i? 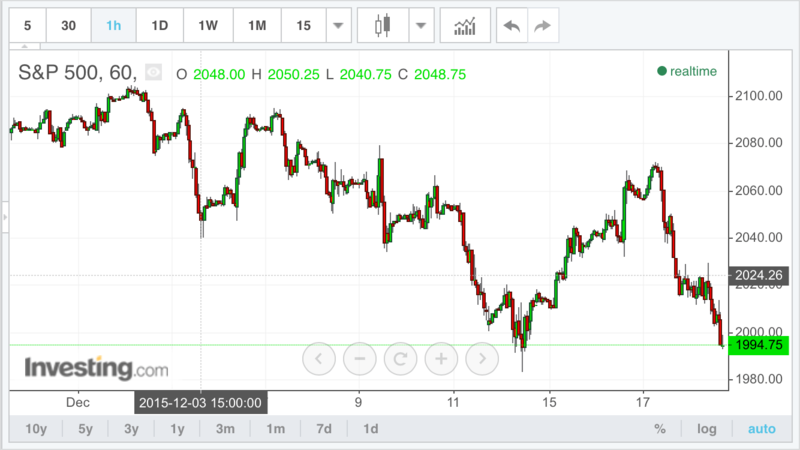 — It’s actually more like (a-b-c) – b- (a-b-1-2-3-4-5) — reversal to the upside over the weekend way higher in a B-wave the retraced 90% of the drop. Elliott Wave (Retest of 4th Wave Support) Elliott Wave (4th Wave Extensions) Elliott Wave (B-Wave High) Fed Announcement, Wednesday, December 16, 2015 – Which Count?